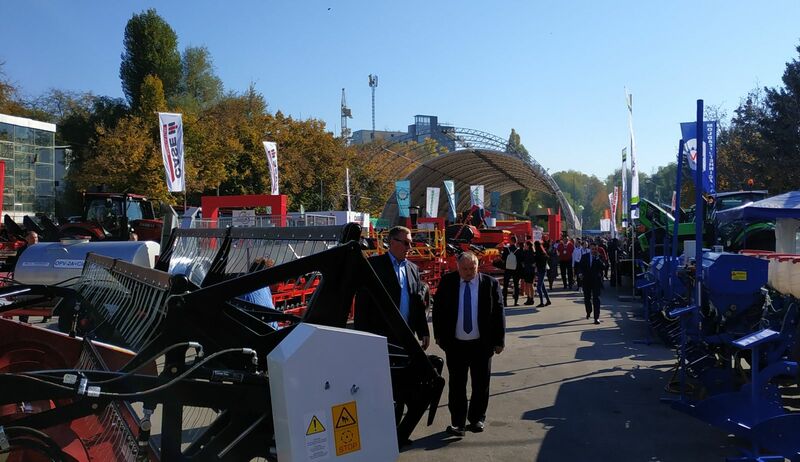 The opening ceremony of the 35th International Specialized Exhibition MOLDAGROTECH (autumn) and the 21st exhibition-fair FARMER was held at the IEC Moldexpo. 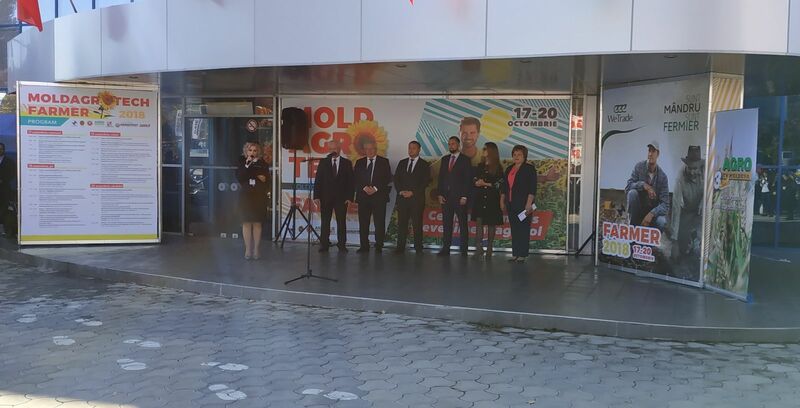 Numerous exhibitors, visitors and guests of the exhibitions were welcomed by the Nicolae Ciubuc, Minister of Agriculture, Regional Development and Environment,. Noting that the exhibitions are "a place where demand and supply, presentations of innovative technologies and modern agricultural equipment are connected", he expressed the conviction that MOLDAGROTECH (autumn) and FARMER "make a serious contribution to the modernization of the agricultural industry, to the increase of its competitiveness." According to him, the importance of exhibitions lies in the “exchange of views and experience between manufacturers, dealers, farmers and representatives of public authorities and the scientific community.” N. Ciubuc thanked the IEC Moldexpo - for organizing exhibitions important for the industry - and the National Federation of Farmers of Moldova for attracting a large number of small agricultural producers. The representative of CASE IH in Ukraine and Moldova, Igor Tkachuk, noted that “the exhibition is growing every year, there are more interested visitors, and this means that the agribusiness is growing in Moldova.” He also wished the participants and visitors "to find at the exhibition their clients and their partners, to spend time here for the benefit of business development, and also to obtain rich harvests." The exhibitions MOLDAGROTECH (autumn) and FARMER will be open until October 20, 2018, from 10.00 to 18.00. We are glad to remind you that this year additional free parking spaces will be available at the corner of the streets V. Lupu and V. Belinsky (territory of the former military unit). Entrance to the parking lot - from V. Lupu st. From the parking lot, maxi taxis will take visitors directly to the exhibition pavilions of MOLDAGROTECH (autumn) and FARMER.